Do Chinese leaders have a conception of themselves as being destined to govern the world – in other words, ‘Chinese exceptionalism’? This editorial from The Manila Times outlines, from a Filipino point of view, how resentful Chinese Communist Party leaders are of America, and how little they understand about the meaning of moving from a uni-polar world, to a multi-polar one. China resents America’s continuing power in the Asia-Pacific, which Beijing considers its own sphere of influence. Chinese leaders regard America as an outsider in Asia. That is why, when we insist that the Panatag Shoal or Bajo de Masinloc is our sovereign territory and not China’s – Beijing unjustly considers us Filipinos as mere pawns of the United States. Beijing suspects Washington wants to continue being the shaper and lord of the Asian order, and wants China to have no say in the endeavor. How can the Middle Kingdom – the center of the Earth or perhaps the universe – be deprived of its heaven-mandated role? They detested hearing Secretary of State Clinton last April, speaking at the U.S. 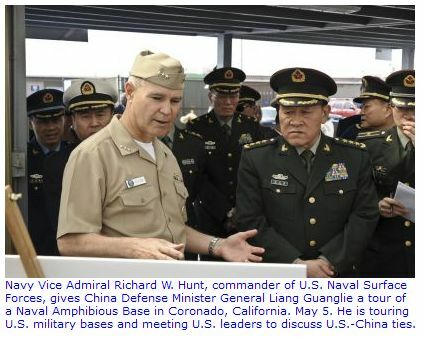 Naval Academy, say, “While the geometry of global power may have changed, American leadership is as essential as ever.” This is not the first time China has been incensed by American insistence on being the decider of how the world is run. How dare the United States continue to insist on being the world’s hedgemon, when it owes China trillions of dollars?